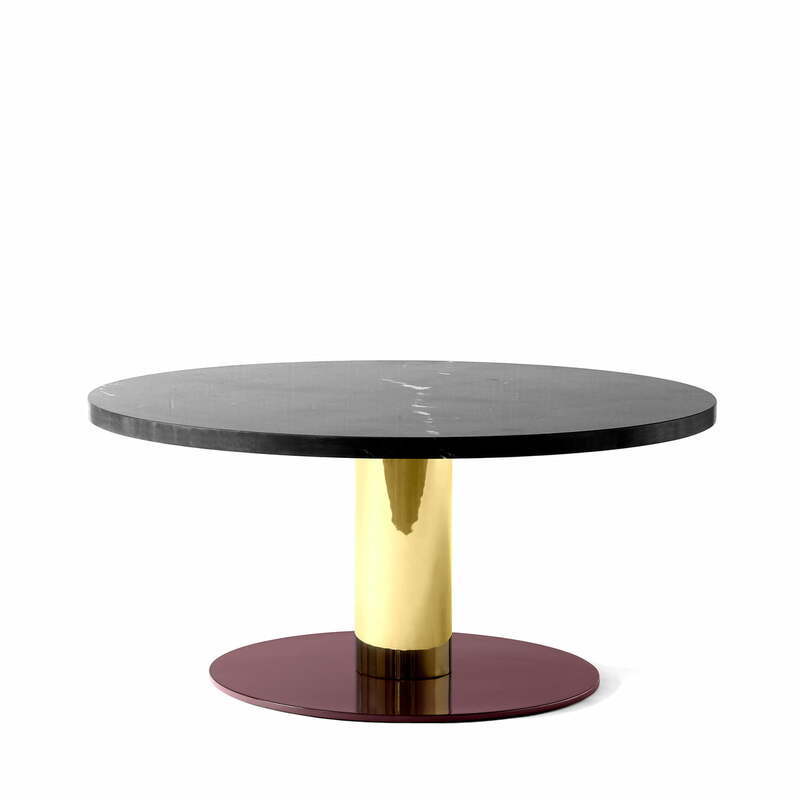 The Mezlca coffee table by &tradition was designed by the Spanish designer Jaime Hayon, who was inspired in his work by the actual use of a table: For Hayon, a table is not just a simple piece of furniture, but a place where different people meet to spend time together, talk and eat. This diversity should also be reflected in the design of his table, so that a mix of different shapes, materials and colours is created. The name of the table also matches this. Mezcla' is Spanish and means as much as 'mixture' or 'mix'. The round tabletop is made of wood, travertine or marble, while the cylindrical base is made of metal. The foot is also made of metal and is then lacquered in various colours. This combination turns the table into an extravagant piece of furniture that blends in perfectly with unusual and simple furnishings. As a coffee table in front of the sofa, it is an absolute eye-catcher and also serves as a shelf for drinks and snacks. The Mezlca JH20 and the JH21 coffee table are available in different versions, as well as order or dining table. Isolated product image Mezcla JH 19 side table by &tradition. 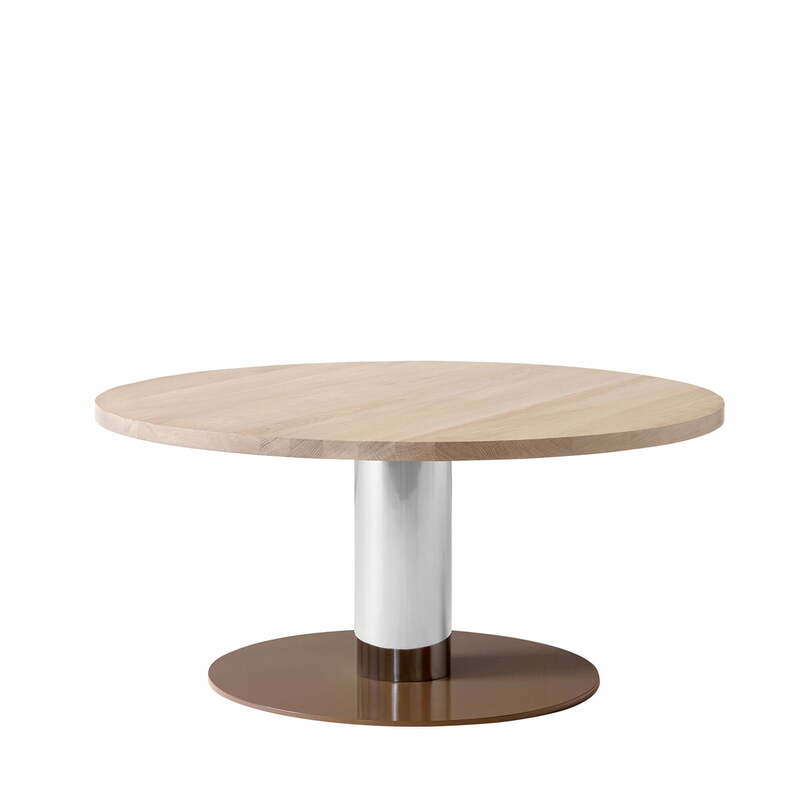 While the tabletop is made of wood, the base and base are made of chrome-plated or lacquered metal.